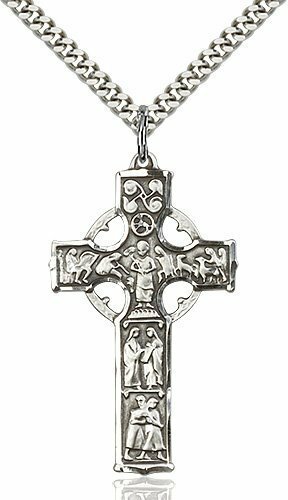 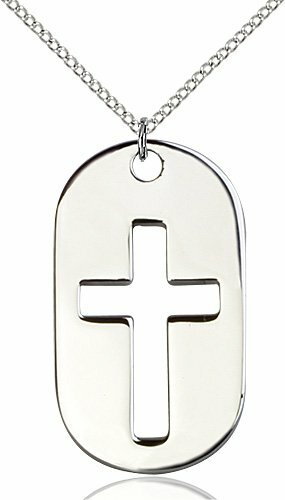 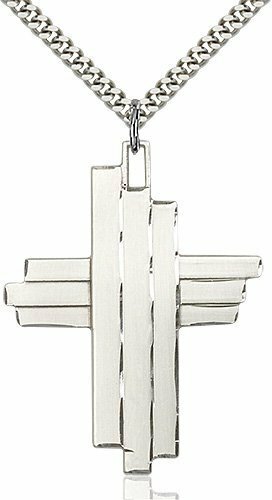 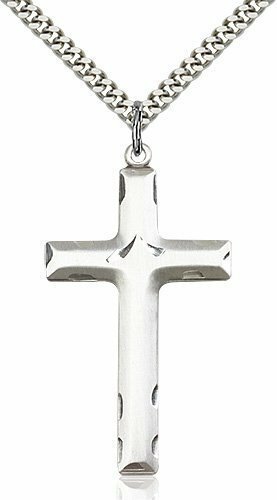 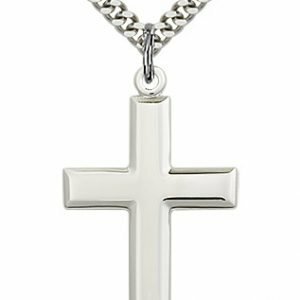 Those who are looking for a cross necklace for men have many choices in our men’s cross collection. 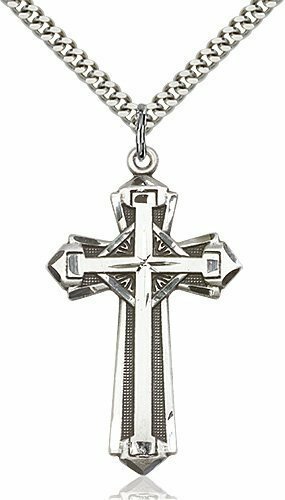 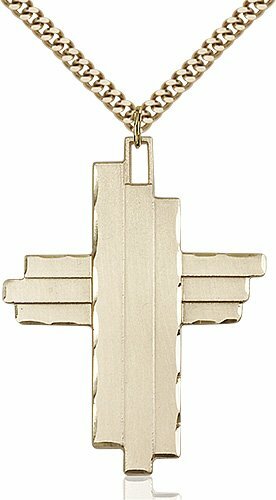 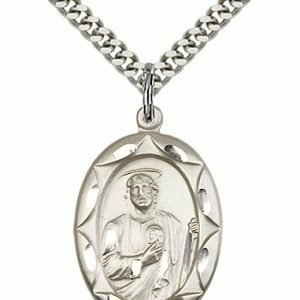 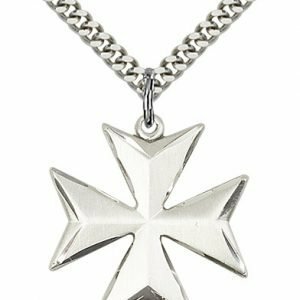 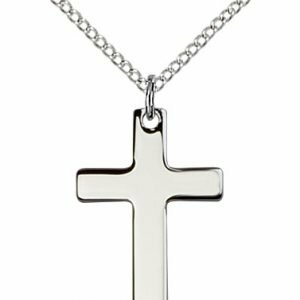 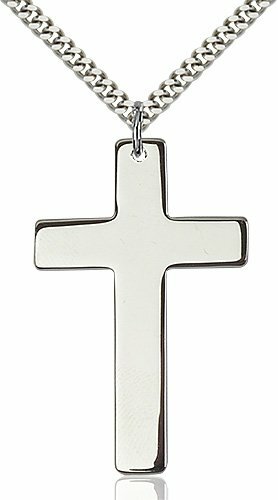 Typically the main factors that distinguish a cross necklace or pendant as being “mens” vs “womens” are the dimensions of the cross, and the level of detail and embellishment. 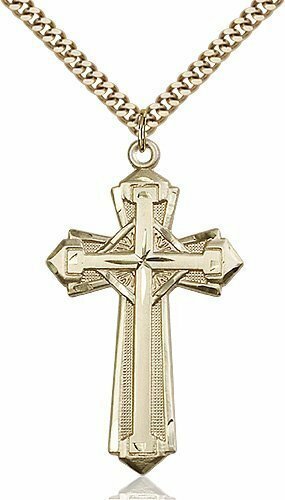 A cross for a man will generally be more angular with few rounded elements or fancy flourishes. 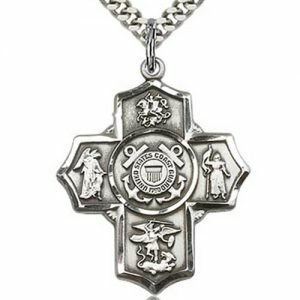 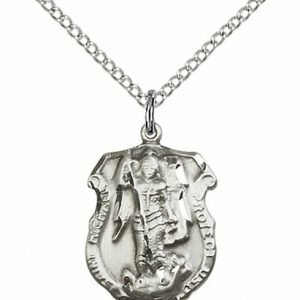 The exception to this would be in a celtic cross for a man. 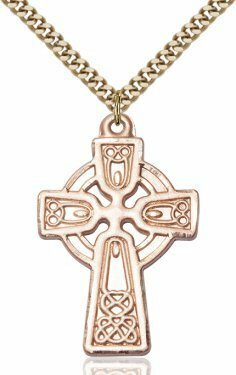 Those crosses will often retain the elements of larger size, but feature interior curved designs related to celtic knots. 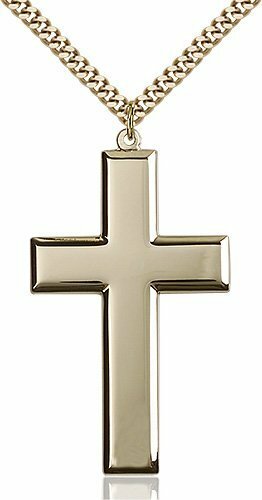 Whether it is a silver or gold men’s cross you may also see black, blue or green accents or sharper angles and deeper cuts as part of the design.